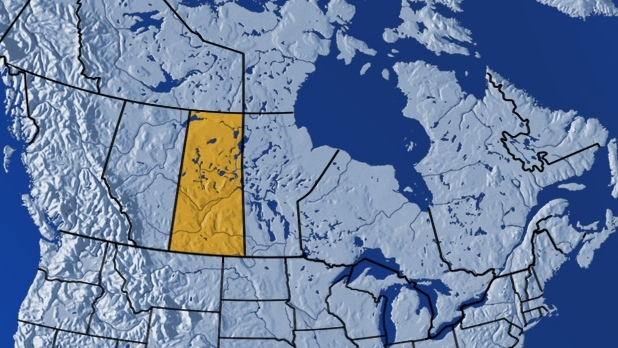 SWIFT CURRENT, Canada - A stretch of highway in southwest Saskatchewan has been cordoned off until morning after a tractor-trailer carrying 63 drums of uranium concentrate bound for a refinery rolled, spilling a small part of its load. RCMP have notified residents within a 1.6-kilometre radius of what happened, but say an evacuation was deemed unnecessary because there were no homes downwind from the scene. The rollover happened around noon on Monday on Highway 4, about 10 kilometres north of Swift Current, Sask. Capt. Greg Campbell of the Swift Current fire department says there was a minor crack in the container carrying the yellowcake, which has a low level of radioactivity, but the spill is mostly contained. The uranium was produced by a company in Australia and was being shipped through the United States en route to Cameco's refinery in Blind River, Sask. Campbell says Cameco officials and their contractors have been on site and will undertake the cleanup, with oversight by Canutec, the Transport Canada agency that is responsible for public safety in the transportation of dangerous goods. "Basically what we've done is we've just created a safe area around it, not allowing anybody close to it," says Campbell. The driver of the tractor-trailer unit was not seriously injured and was able to help first responders by providing them information on his cargo. Campbell says officials are being cautious, explaining that though regulations might normally require a certain safety zone in such cases, "the boundaries that we created around it were much greater than that. You take a high level of safety." He says there is little threat of radiation exposure for first responders "as long as you're not ingesting it and don't spend a huge amount of time right next to it." Because the container involved is sitting on its end, Campbell says the decision has been made to keep the road blocked off for now. "It's one of those situations where obviously the team has decided it's much safer to proceed with laying it down in the daylight, not in the dark," he says.